Just purchased my first new truck in 8 years. Very excited, but also disappointed with the "Premium" 730N factory stereo. Now, the head unit is very cool, and I don't want to replace it. But the rest of the stereo lacks in almost everything I'm looking for. Loudness, clarity, quality and bass. Onto the shopping list. I will dedicate one post to each piece of equipment. "Bass-Mid-Treble" as well as subwoofer volume control. The reason that I like this interface is because of the pain free installation. Basically plugs right into the wiring harness. The JL cleansweep makes no mention of a harness so I'm assuming I'd have to splice into the wires?? Last edited by Frank Drebin; 05-29-2011 at 09:28 PM. Strongly leaning towards a 5 channel amp because of size issues and ease/simplicity of operation. Seems to be a great value. I don't need to smash windows, but a conservative 300W RMS to the sub should give me all the bass I need. Add the fact that its so tiny - 10.5" X 8.5" X 2.5" so I think I can throw it under either the drivers back seat (preferred) or for sure under the front seat. I'm open to other suggestions on this but I'm kinda partial to this guy. I do not plan on upgrading the dash speakers. I plan on sending the 75WX4 to a set of 6.5" components in each of the doors. I haven't put too much thought into the subwoofer, I plan to hook up the factory guy to real Alpine power and see how long it lasts, then look at a stealthbox or similar. Convince me it's a good idea to dynamat my floor. The new truck is considerably quieter inside than the old truck (2003). If I can get a noticeable improvement in reduction of road noise I will do it. If it's to help sound quality in the truck only, its not worth my time. Are the doors worth doing...basically steer me in the right direction here. I don't need a capacitor for this amp do I? Dynamat/Alternative in a new truck would be mostly pointless. Sometimes the doors can benefit from a treatment, but if the problem is that they are not sealed up, I would go with cascade VB2 or VB2HD instead. That amp is stinking efficient, plus it already has a decent capacitor bank inside. So don't bother with an external cap. I would recommend going with the new generation of PDX if you're doing the Alpine route though. Those silver ones had a bunch of noise and offset issues. Other than that, if that module provides a clean signal as it claims you should be fine with the setup you've chosen. I've never heard those speakers, so I can't advise for them. Oh I forgot they didn't re-chassis the PDX5. Make sure you buy it new, is all I'm saying. Last years' were... well junk. I have done some reading since posting, and I have read about the noise issues on the PDX amps. I have also read that 300W RMS may be a bit dissappointing for the subwoofer channel. The only other viable option (sizewise) is the JLHD900/5, which is a significantly more powerful amp, but double the price. I'm trying to keep this a modest budget upgrade, so the PDX fits my wallet much better than the JL. I was hoping you were going to tell me that about the dynamat, although I am going to try what I can in the doors. Thanks again, glad this thread didn't go to page 2 without a single reply. I would say that you're right about 300 watts being disappointing, especially in a big truck. 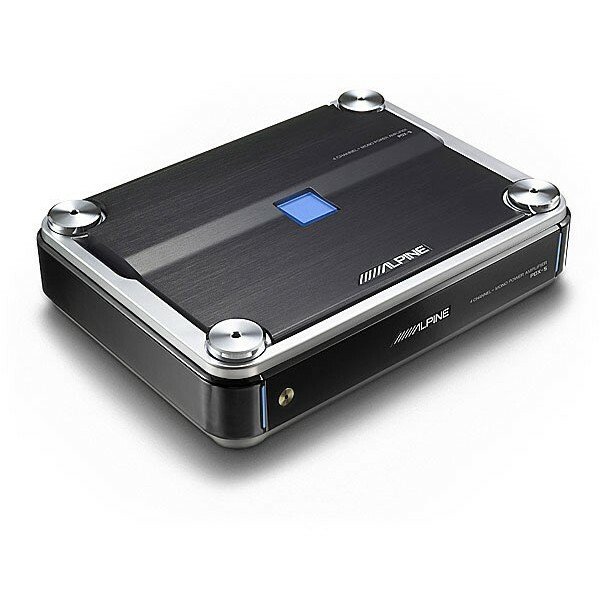 One thing you will want to do, if you do run the PDX 5 or another 5ch where the sub channel is around 300Watts RMS, is run a very sensitive sub. This means usually running the 'cheap' subs that manufacturers make. There is nothing wrong with them (ie: JL WX, Alpine Type E, Kicker Comp) except that they won't handle much power. TLDR: Don't buy a high power sub to go with your low power sub-amp. A low power sub will be louder. One thing I might recommend is running the PDX-F4 or F6. In which case you would amplify the front two speakers and bridge channel 3 and 4 to the sub, leaving the rears unamplified (they're just there for fill, anyway). At one of the conferences I attended this year with my job, one of the Alpine engineers bench tested a few of the new PDXs right in front of us and on average the PDX-F6 put out 800 watts RMS to 4ohms from the bridged 3/4channel. Which is crazy because they are 'rated' for 300watts still. Last edited by BradSk88; 06-06-2011 at 02:26 PM. I like the Alpine PDX amps. They look sweet. I have been looking at the JL XD amps too. The 400/4 or 600/6 for highs and 600/1 for sub. Small size with big power. 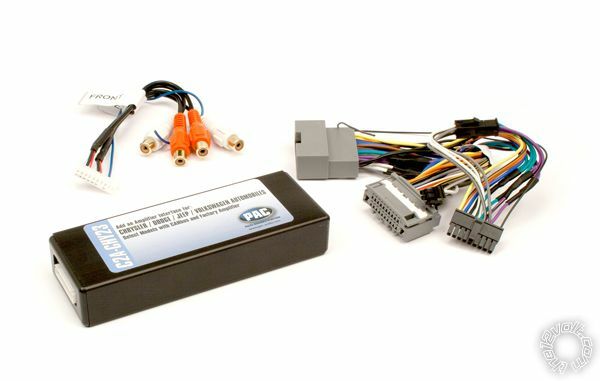 Quick Reply: 2011 Dodge Ram Club Cab install...need help shopping.